The federal government will no longer use the terms "American Indian" and "Eskimo" after President Barack Obama signed a bill into law. In a rare show of bipartisan support, the measure H.R.4238, passed unanimously in the House of Representatives and the Senate earlier this year. Obama signed it into law Friday. The measure updates the terms the U.S. federal government uses to describe minorities, including American Indian to Native American and "Spanish speaking individual of Spanish descent" to Hispanic. In Canada and Greenland, the term "Eskimo" is assumed to be pejorative and has been widely replaced by the term "Inuit", "Alaska Natives", or terms specific to a particular tribe. Since the late 20th century numerous indigenous people viewed the use of the term "Eskimo" as offensive, because it was used by people who discriminated against them. Responses to "Obama Just Signed Bill Removing Words ‘Indian’ and ‘Eskimo’ from Federal Law"
I am still American Indian. Thanks to Congress for creating the bill for the President to sign. So why don't they remove the words "Redskins" and "savages"? Or even the offensive words -- the n- word, cracker, the f- word. Our language has deteriorated into hateful words. Adding to paper genocide again. 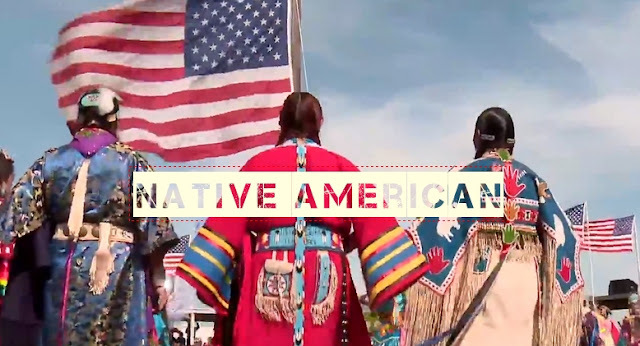 Native American and Alaska Native legally means that they were born in America and Alaska. A good lawyer could justify the removal of all Native Americans from all Indian Rolls. It's all good. I am wondering if Euro-American is on the list . . . .... ? Nume Namo, hey! I think you are a very wise one. Paper genocide will probably get a lot of the people. Of course, carolinemerald,what will stop the paper law? I believe everything goes in circles, and the serpent will eat it's own tail when it has consumed everyone else. I appreciate trying to remove misnomers with negativity, but I still prefer to be called "American Indian" because thats our treaty reference. Also because ours is the only hyphenated name that starts with "American". We are different from other minorities because we are the only indigenous people of this land. I have always objected to the use of the term Native American for American Indian. European immigrants came to the Americans to reject their cultures, values, language, etc. so they could become Native to America. In fact that is the argument of individuals who say they were born in the U. S. and therefore are native. This makes American Indians just another group with no differences from individuals who are "native. " I fought this move in numerous universities when faculty, staff, and students change their designation a native American. It also another move toward disenrollment. This is just moving the deckchairs on the Titanic. How about signing into law a bill that preserves Native Americans' rights to their land in perpetuity, with safeguards so the land cannot be sold or given to corporate America to pollute their water with leaks from oil pipelines? Yes, these things are important, but some things are more important than others.